Although basements are not common in Florida..... They do exist. Basements are prone to flooding in Central Florida for many reasons. Whether the need for water cleanup is due to a broken pipe, a faulty toilet, an overloaded washing machine, or simply rainwater, water damage to your basement can be devastating and costly. Sudden heavy rainfalls can hit an area hard, sometimes leading to unexpected flooding throughout an entire neighborhood. Flash floods can bring severe water damage to any home or building, so water cleanup should be conducted right away. Even during normal rainfall conditions where flooding is not a threat, groundwater can find its way into a basement. When this happens, a home or building owner can find themselves plagued by reoccurring flooding conditions. Basement walls, floors, ceilings, cabinets and furniture can get damaged and even rot. Mold spores and odors can permeate into the home. Small water intrusions or minor plumbing leaks can be easy to overlook, yet over time, they can lead to major water cleanup problems. 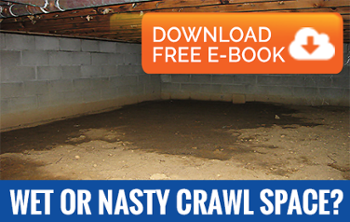 Unprotected basements can allow humidity in, leading to similar problems.